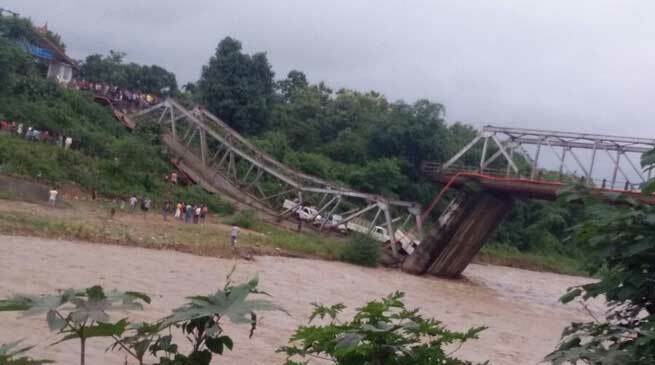 at least Four people were killed and five others injured when a bridge collapsed on Tuesday in Nagaland’s Dimapur. The bridge collapsed near the Christian Institute of Health Sciences & amp; Research (Referral) hospital in Dimapur. The bridge also connects the designated camp of the National Socialist Council of Nagaland-Unification in Kheloi village. The NSCN-U is on ceasefire with the central government.